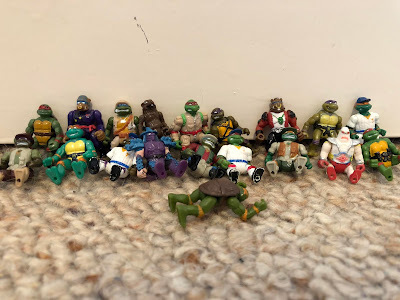 I'm sure a few people out there are getting sick of me pawning off all of these video games in what is purportedly a toy-focussed blog. To them, however, I reply with the consistency of a cannibal's breakfast. Tough! Tonight, we pay tribute to an excellent little game that is only leaving my possession due to Nintendo giving me free stuff. To elaborate, Nintendo dropped the price of the 3DS not too long ago by about $100. To satiate the loyal fans who had paid full price for their 3DS, Nintendo gave away ten free NES and GBA games to early owners. And this worked out nicely for me, because my 3DS was a gift. So basically, it was a free handheld with free bonuses. I felt like a free man from Fremantle. These games have definitely gotten a lot of mileage on my 3DS (almost typed that as molestation for some reason). In fact, at 51 hours playtime, Fire Emblem SS has become the most used title of all. As for Mario Kart Super Circuit, possessing it on the 3DS made my existing GBA cartridge expendable. So away it goes, to be enjoyed second-hand, where my once-legendary course records are quickly bested by a smug seven year old. I know this well, because I once was that smug seven year old. Super Circuit is the third in the beloved Mario Kart series, and was the game I bought with my GBA. It is most similar to the SNES original, because it uses the same graphical manipulation of the map in order to make the appearance of movement in a three-dimensional plane apparent. For that reason, it's best not to play this game immediately after one of the later DS titles. Because your world will quite literally be spinning. Revisiting this game after more than a decade is certainly proving difficult for me so far. To my dismay, Bowser is controlling exactly as a fat spiky turtle would; miserably and chaotically. And I'm too much of a manly man to shift to the more manageable vehicles of a pink-clad princess or sissy mushroom. No, I'll begrudgingly stick with my big fat man 'till the bitter end, and, by the looks of each failure and lost life, that isn't too far off. Super Circuit features a few neat little quirks that, for some reason, haven't returned in the sequels. The classic homing red shells have a second feature where they can be planted on the ground, and will chase after the next driver to pass by, which is a spiffy way of protecting a lead, and confusing and frightening players when it happens to them for the first time. Sentient red shells? Madness!! Also, Super Circuit has a 'quick run' option, which allows you to race any track against a full pack of opponents. Usually, you'd have to reach each track in grand prix mode for the full competitive experience. Unless I'm mistaken, this mode has not appeared in another Mario Kart, and I can't really think of a reason why. ...Well, I could think of a reason, but I doubt it would be correct. My current theory involves raccoons. In my opinion, Super Circuit has some of the best track design of the series. It's a little hard for me to enjoy them with the passion and competitiveness that I used to because of my aforementioned control difficulties, but I can at least look back at Sky Garden and its ilk with bleary-eyed nostalgia. And if that isn't enough to whet your whistle (what does that mean, exactly? It's always sounded very rude to me), the entire selection of SNES tracks are unlockable to boot. So effectively, you're getting two games' worth of content for the price of one. You're just minus a Koopa Troopa, and you'll have to deal with that in your own way. Me personally, I just pummelled a stationary Wario in battle mode mercilessly. It certainly gave me peace of mind. It also certainly never got me invited to any parties. Ever since the very original, I have never missed an entry in the series. I have had a long and colourful history with Mario Kart, and this shows no sign of changing as the years go by. I'm a big kid at heart, and video games have still held my fancy for twenty years. 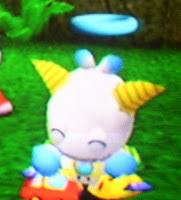 Why, just today I finally evolved my very first Chaos Chao on Sonic Adventure 2 Battle. To those of you who aren't aware of the significance of this, it takes a whole lot of waiting and rebirthing and meticulous animal-related fusion in order for this accomplishment to take place. Yes, after a decade of rearing tubby digital blobs, Chappy has finally morphed into his ultimate form. He was once a cute, cuddly little guy with a cheeky grin, and he's now practically a god! ...I kind of regret that transformation, actually.